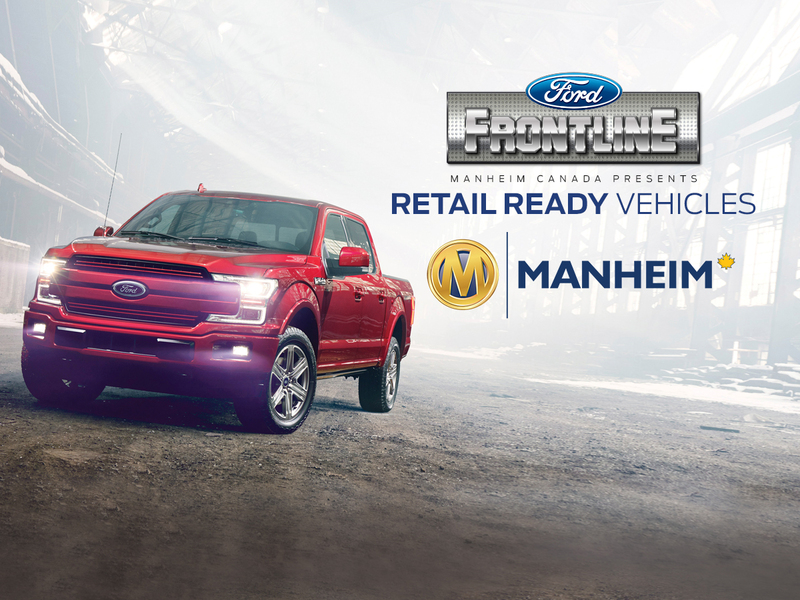 Mississauga, Ont.—October 16, 2018—Manheim Canada, along with Ford Remarketing Services, is pleased to announce the Ford Frontline Ready Program at Manheim Toronto auction. Effective today, this ongoing program will run during regular Tuesday sales and will begin at 10:00 a.m. EST. Hand selected, Ford Frontline Ready vehicles are premium cars, trucks and SUVs that have undergone a full mechanical inspection and reconditioning process ensuring each one will meet and/or exceed provincial safety guidelines. Identified in the announcement section of the Runlist on Manheim.ca, Ford Frontline Ready vehicles, are late model, low mileage vehicles that are guaranteed to be ready for sale the moment the purchase is made. “By working with Ford Remarketing Services to offer retail-ready vehicles at our Manheim Toronto location and then at Manheim Montreal later in the quarter, we’re facilitating a program that gives our clients an additional opportunity to purchase select Ford vehicles with confidence,” said Jack Sulymka, Director, Commercial Accounts and Operations, Manheim Canada. As part of Manheim Canada’s goal to become a leader in digital remarketing, the company continues to invest in strategic partnerships with great companies like Ford Canada.